This is a billet aluminum housing and cover for the original plastic horn button included with Grant Signature Series 5-bolt steering wheels. 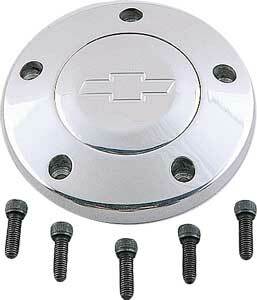 If you do not have the original horn button, you will need to purchase 470-5899 to complete the installation. From Pontiac to Chevy to Mopar and everything in between, show your loyalty simply and inexpensively with Grant Horn Buttons. Grant signature series horn button fit steering wheels with a 2.125" hole.